However, hotels association says it's not a good idea to do so. hotels could treat this as a Corporate Social Responsibility (CSR). "We are calling on hotels to enable them to perform their CSR. We also hope that the hotels will be proactive in taking their own initiative after this announcement," Dr Maszlee was quoted as saying by Bernama after the Minister launched the 2018 Life Saving Skills programme and the Water Rescue and Safety Awareness Module in KL. Dr Maszlee said the Education Ministry was looking into the introduction of swimming co-curriculum activities in schools after the suggestion was mooted by Prime Minister Tun Dr Mahathir Mohamad following a rise in drowning incidents involving students. "The initial plan is to bring students to public swimming pools or sports complexes to learn to swim," he said, adding that "not all schools are equipped with or are located near such facilities so maybe hotels can offer their swimming pools to be used." "This is not only about learning how to swim, but also life-saving skills and safety while in water. Our children need to learn how to save themselves and others," he said. Dr Maszlee attends the launch of the 2018 Life Saving Skills programme and the Water Rescue and Safety Awareness Module at Kem Tekali, Kuala Lumpur, on 21 November. 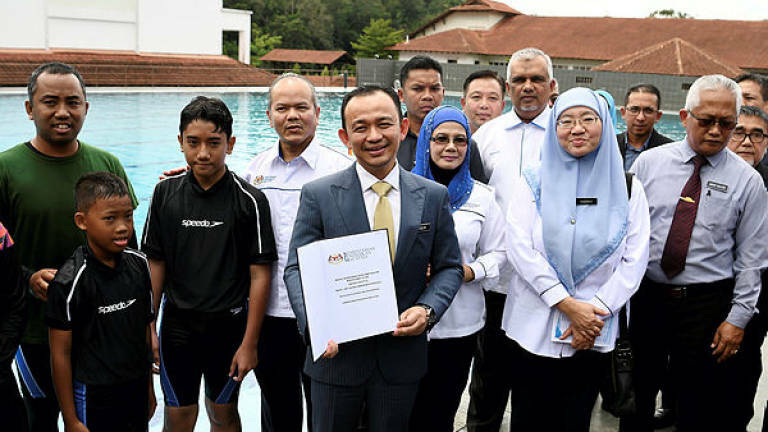 Dr Maszlee revealed that while the Government had initially planned to make the swimming activities a mandatory syllabus as part of compulsory co-curriculum from pre-school to secondary school, the plan to do so has been put on hold as it would take a long time considering there are about 10,000 schools nationwide. He said that, for now, swimming activities were conducted through clubs and associations as co-curriculum activities with students taught based on modules by agencies registered with the ministry using the implementation guidelines of existing co-curricular activities, Bernama reported. According to The Star Online, MAH chief executive officer Yap Lip Seng said safety is a big concern when it comes to allowing schools access to a hotel's swimming pool. "Most, if not all, swimming pools in hotels are meant for leisure. Which means they are not built with the needed size, shape, depth and design for swimming lessons, especially not for groups of children," The Star Online quoted Yap as saying. According to the MAH CEO, the concerns about accessibility is a valid issue as hotel facilities are paid for by tourists and hence dedicated for their exclusive use. However, if the Ministry can study the idea carefully with practicability and safety of school children as a priority, the MAH CEO said that they are open to exploring possibilities that include the private sector, not just hotels, reported The Star Online. 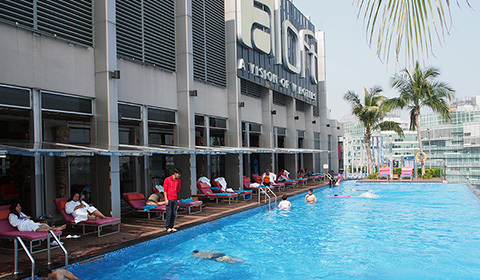 Swimming pool at the luxury hotel Aloft Kuala Lumpur. He was stopped on the Sungai Besi Expressway earlier today, 21 November.